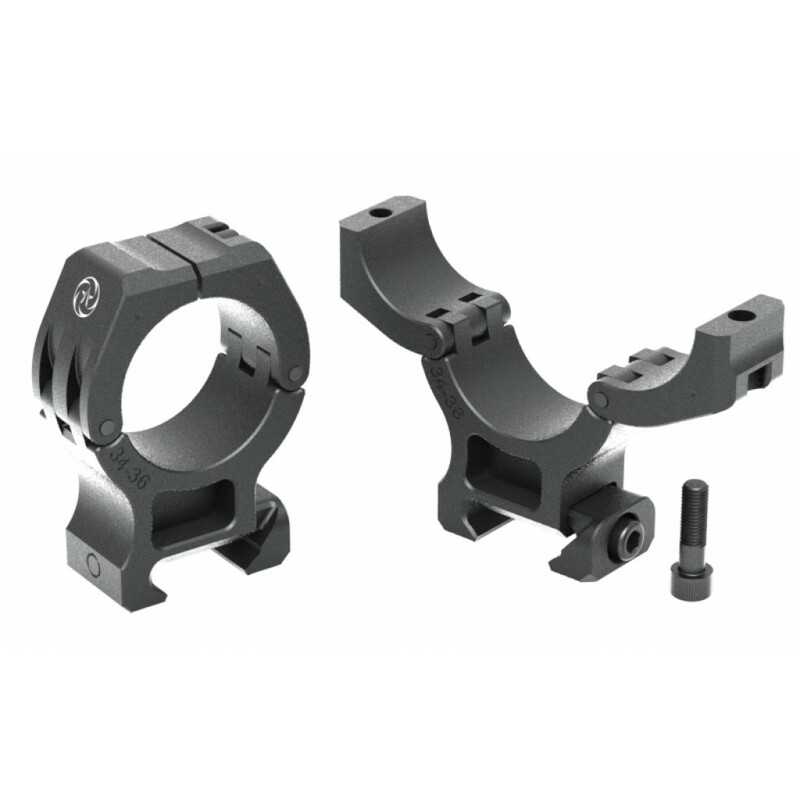 The M10 QD-L features two innovative spring-loaded, pivoting rail clamps. 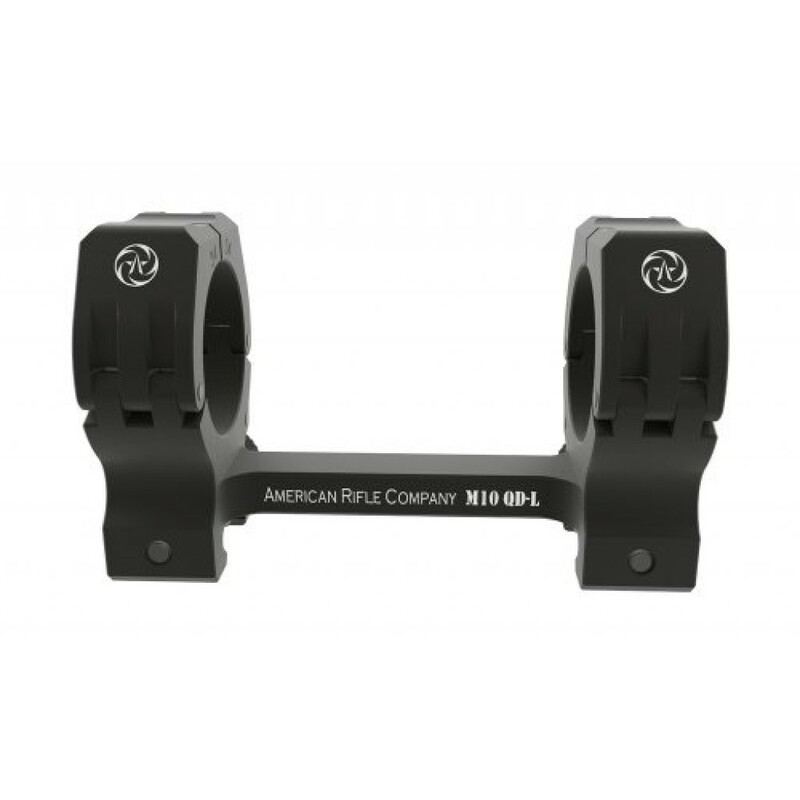 Due to the high placement of the pivot and the design’s inherently low friction, the pivoting clamps impart the majority of the clamping force upon the rail, not the ring. The resulting efficiency enables tighter clamping than that offered by conventional levers. Moreover, the pivoting rail clamps won’t get stuck like levers do and don’t need to be adjusted for variations in rail size. 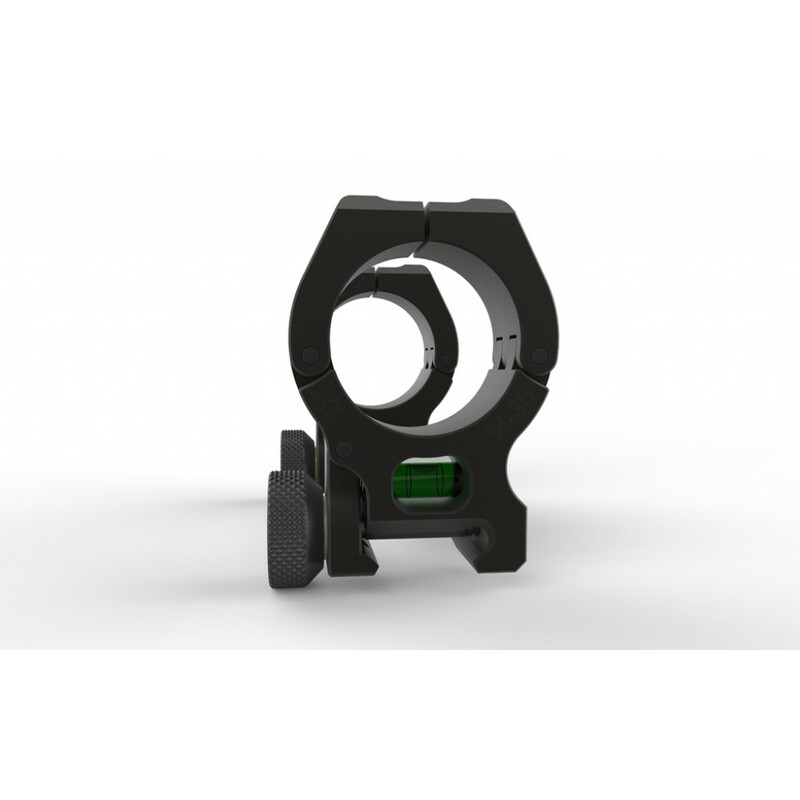 They offer real QD functionality enabling the shooter to remove and reattach a scope in seconds. The thumb screws are made from 410 stainless steel and are captivated by an O-ring so you won’t lose them. Their knurled and comparatively inconspicuous design offers a secure grip while making them less prone than levers to snagging equipment or brush. 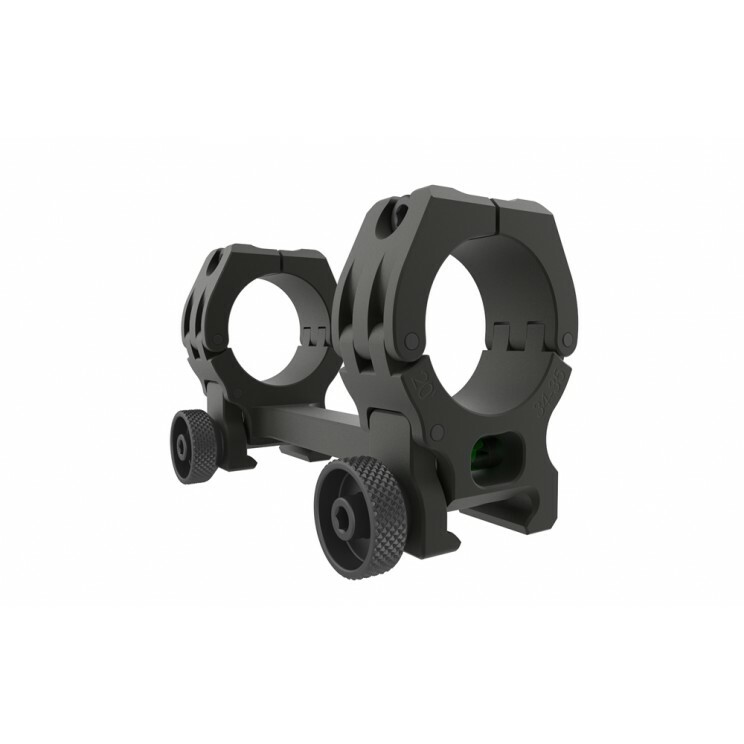 The M10 QD-L features a crowned-rail interface which precisely and correctly engaged rails, even those which fail to meet Mil and STANAG specification. The result is excellent return-to-zero performance. The M10 QD-L is offered in an unprecedented array of sizes. Choose between 30, 34, and 35mm diameters in either 35mm (1.38″) or 40mm (1.57″) heights. 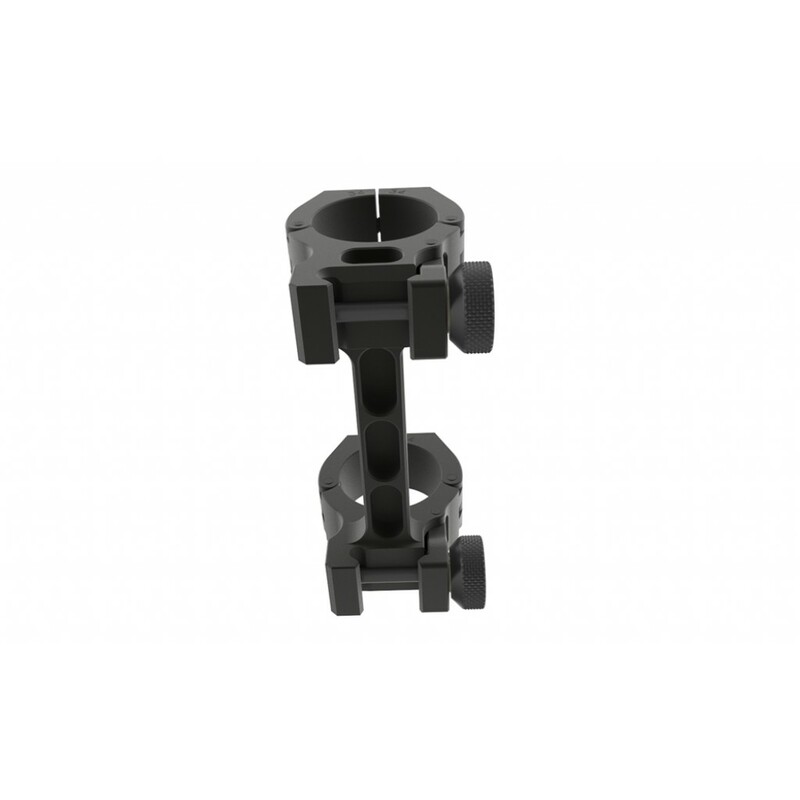 Each combination of diameter and height is available with inclination of 0, 20, or 30 MOA. The height is the distance from the top of the rail to optical center and is defined at the center of the aft ring. The M10 QD-L holds firmly without marring or indenting the scope. The uniquely split rings of the M10 QD-L maintain reticle alignment during scope installation while their low profile leaves the shooter with a clear view of the turrets. Extremely strong and light-weight the M10 QD-L is CNC machined from 7075 aluminum alloy and anodized with a mil-spec hard coat for excellent corrosion resistance and a matte-black finish.